Would you like an irresistible look? 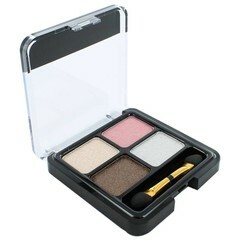 With Quatro eyeshadow palette from Christian Faye and NOUBA you can have memoraqble result ! The Quatro combinations range from striking colors to classic, subtle, and very adaptable pearly shades. 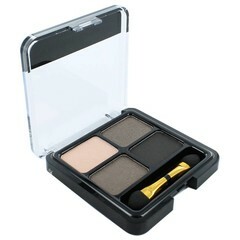 Quatro eyeshadow colour combinations are made to have beautiful looking eyes, perfectly sculpted with just the right shades of eyeshadow. The four colours for more intense shading. Fascinating combinations created to make the eye more intriguing and the look more seductive.As a general rule, apply the darkest shades close to the lash line and the outer half of the eye. The soft, velvety texture can apply perfectly with the included double sided sponge. A deep pure colour that makes the look more intriguing for an exciting and charismatic woman. 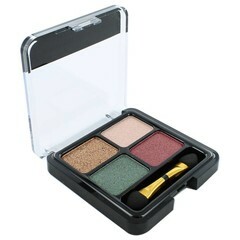 You can find online at www.bransus.eu a wide assortment of Christian Faye and NOUBA Quatro eyeshadows. The products can be ordered via our webshop and normally delivered within one working day. View our wide range of eyeshadows and order easily online.